3 Bedroom Detached House For Sale in Washington for Guide Price £175,000. Fantastic Three bedroom detached home. Settled in one of the most desirable locations in Oxclose, Morpeth close is perfect for any family. The property is within close proximity to excellent schools such as Oxclose Village Primary school and Oxclose Community academy. The galleries centre is merely a 10 minute walk away offering shops cafes and restaurants. Commuters can benefit from the A1 connecting you to cities such as Durham and Newcastle. 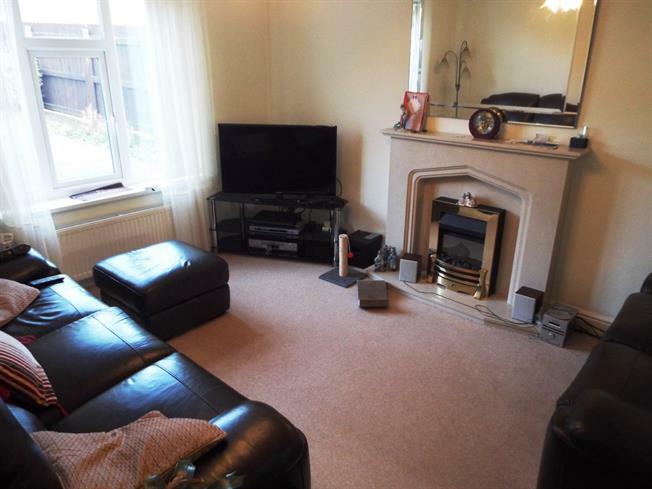 This property briefly comprises of a hall, lounge, dining room and kitchen. To the upper floor there is a family bathroom, two double bedrooms and a single. Positioned at the end of the cul-de-sac this property offers a plot rival to its neighbours. There are well maintained gardens to the front and rear of the property and a patio area for relaxing in the summer months. Benefiting from a detached single garage to the rear of the property and a paved drive there is ample parking. Morpeth close is well known for is quiet and residential location and early viewings are essential to appreciate what this property has to offer. Composite front . Double glazed uPVC window. Radiator, carpeted flooring, under stair storage, ceiling light. Back . Double glazed uPVC window. Tiled flooring, ceiling light. Granite effect work surface, fitted units, single sink, integrated oven, gas hob. UPVC French double glazed door. Radiator, carpeted flooring, ceiling light. Double glazed uPVC window with patterned glass. Heated towel rail, carpeted flooring, ceiling light. Low level WC, panelled bath with mixer tap, shower over bath, pedestal sink with mixer tap.